Msgr. 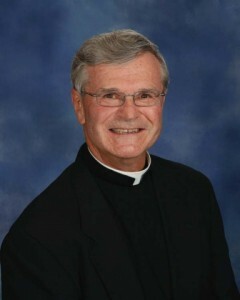 Robert J. Gettinger, known to most as “Fr. Bob” has been ministering to the needs of the poor for over 50 years. Through Fr. Bob’s Outreach, he blesses many with prayer and monetary assistance. This includes programs that focus on assistance with utility bills, Christmas baskets and funeral assistance. All of the support for these programs comes from ongoing contributions from family, friends, parishioners and community. Contributions are welcomed all year round. The giving and generosity is a real blessing to the program.